The Eizo RadiForce RX850 medical display monitor is “Changing the Workstation Paradigm” by offering a truly multi-modality monitor capable of displaying various color and monochrome imaging modalities on one screen. 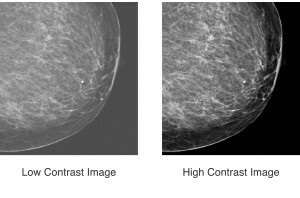 When efficiency is important, viewing mammography specific and PACS software applications on the same screen keeps radiologists from having to wander the halls to their next read. 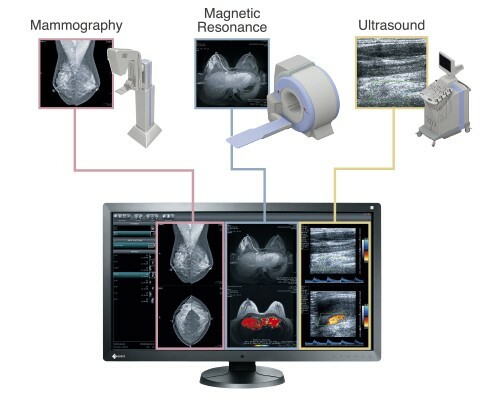 Having received FDA 510(k) clearance for mammography and general radiography from the U.S. Food and Drug Administration, the Eizo RadiForce RX850 medical display monitor is not only capable of displaying MRI, CT, and ultrasound images, but also digital mammography images where high performance is essential. A research study conducted by the University of Arizona Department of Medical Imaging demonstrated that a single Eizo Radiforce RX850 diagnostic monitor significantly improves reader efficiency compared with a dual 5 megapixel Radiforce GX540 diagnostic monitor configuration. It was found that there was 10% less viewing time, 13% less number of eye position fixations, and 17% less number of times viewers scanned from one image to another. 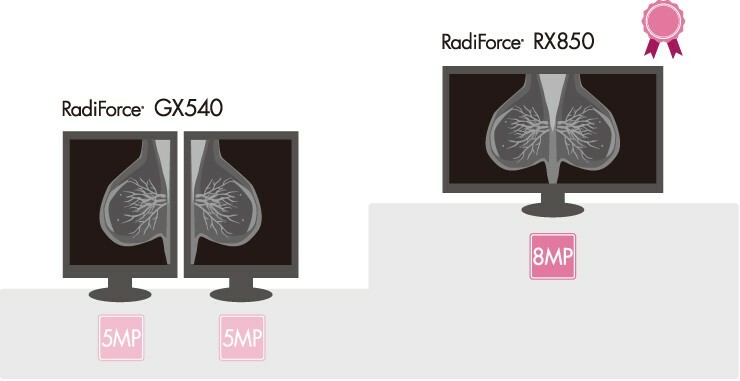 With receiving FDA 510(k) clearance for mammography and general radiography from U.S. Food and Drug Administration, the Eizo Radiforce RX850 8mp diagnostic monitor is not only capable of displaying MRI, CT, and ultra sound images, but also digital mammography images where high performance is critical. 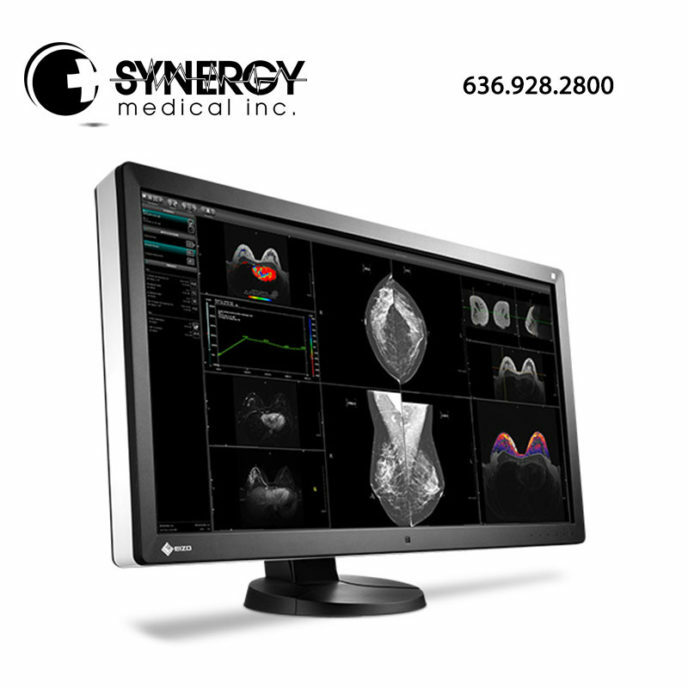 With the RX850’s multi-modality support, you can increase work efficiency with the ability to view numerous medical images on one screen with exceptional accuracy. Another added function is the ability to view images side by side. 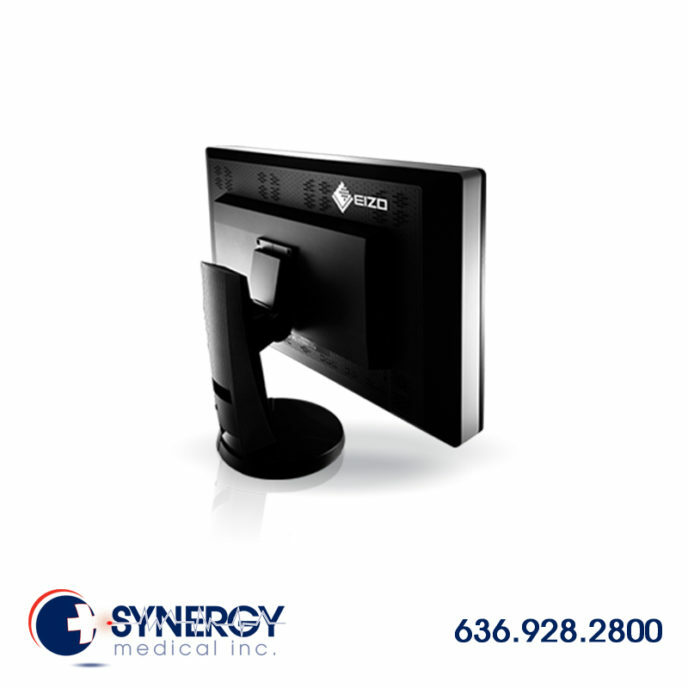 Two screen from individual input signals can be viewed on one screen with the RX850 8MP diagnostic monitor. The widescreen allows simple and flexible operation without obtrusive bezels in between when viewing images side by side. The size of the Eizo Radiforce RX850 diagnostic monitor was reduced to take up 37% less space than its predecessor, making viewing images on one screen more comfortable. 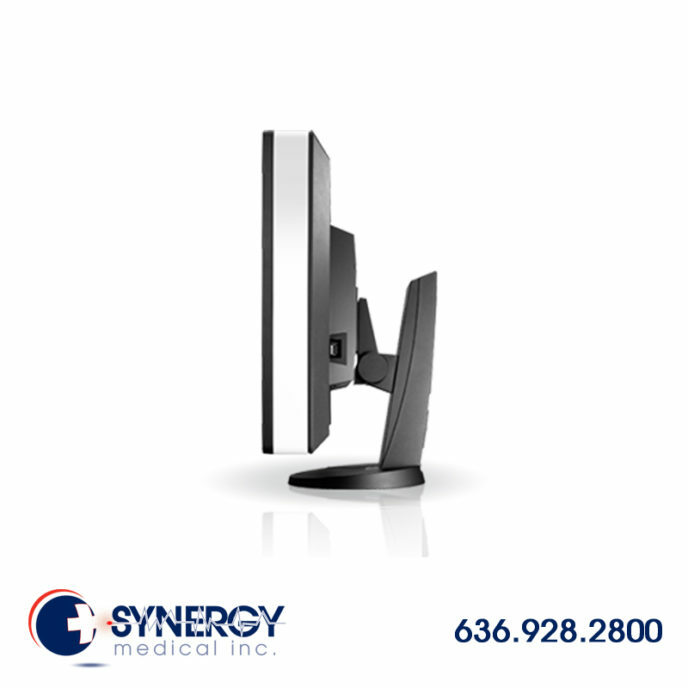 The thin bezels help contribute to less head and eye movement when used with a work list diagnostic monitor. The black front bezels are the perfect solution for viewing the screen in dark reading rooms, making it easier to focus on images, while the creative white stripe around the sides of the diagnostic monitor showcases a fresh, clean design. The Hybrid Gamma Function distinguishes between monochrome and color images while being viewed on the same screen, displaying each with optimal brightness and tones. This function of the RX850 8MP diagnostic monitor expands the usability of multi-modality applications by allowing accurate review of a mix of color and monochrome images. The super high resolution of the RX850 diagnostic monitor’s screen shows 8 megapixels of information with a pixel pitch of 0.1704 mm for viewing medical images in crisp, defintive detail. The diagnostic monitor also offers a high contrast ratio of 1450:1 to accurately render finer details.